The deputy security head of the district said the man who was noticed near the grave was detained on suspicion of vandalism. Other tombs nearby were not damaged, Artguide reports. The Montparnasse cemetery contains the graves of Jean-Paul Sartre, Simone de Beauvoir, Charles Baudelaire, Chaim Soutine, Ossip Zadkine, Susan Sontag. Man Ray spent most of his life in the French capital and died there in 1976. He was a prominent figure in the Dada and Surrealist movements and had a huge influence on fashion photography. 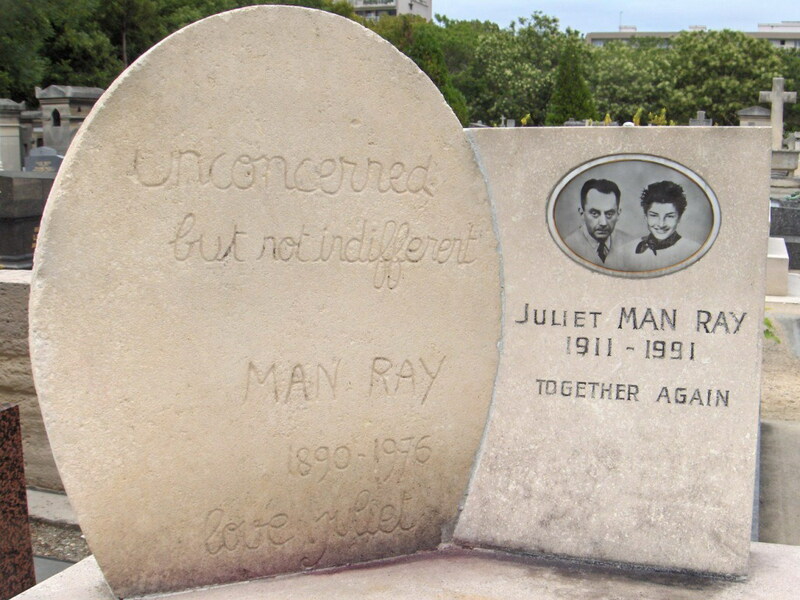 The gravestone with the inscription“Unconcerned but not indifferent” was overturned, as well as the headstone with the inscription “Together again”, which was added after Man Ray’s wife, dancer Juliet Browner, died in 1991.